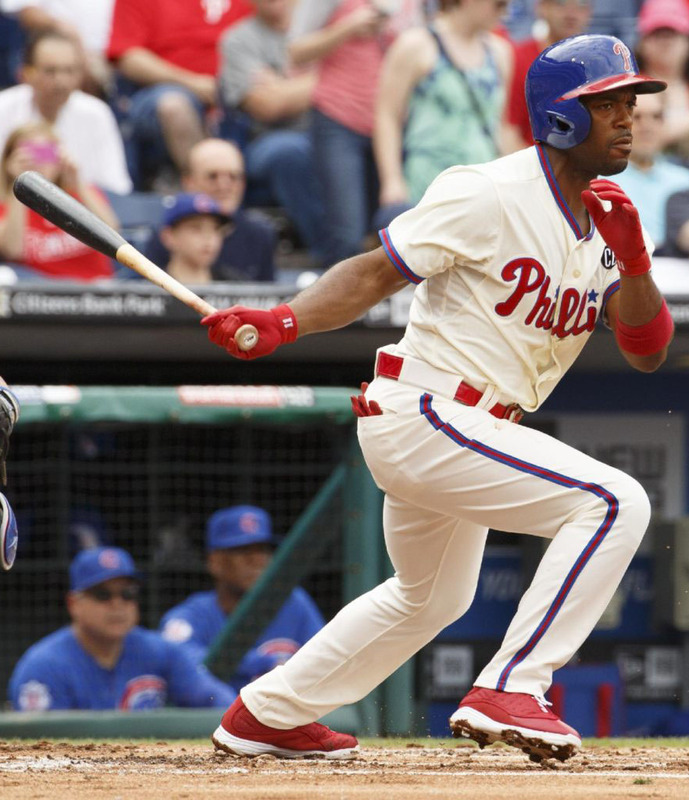 Continuing to make his case for Cooperstown, Philadelphia Phillies shortstop Jimmy Rollins reached another milestone in Saturday's game against the Chicago Cubs. 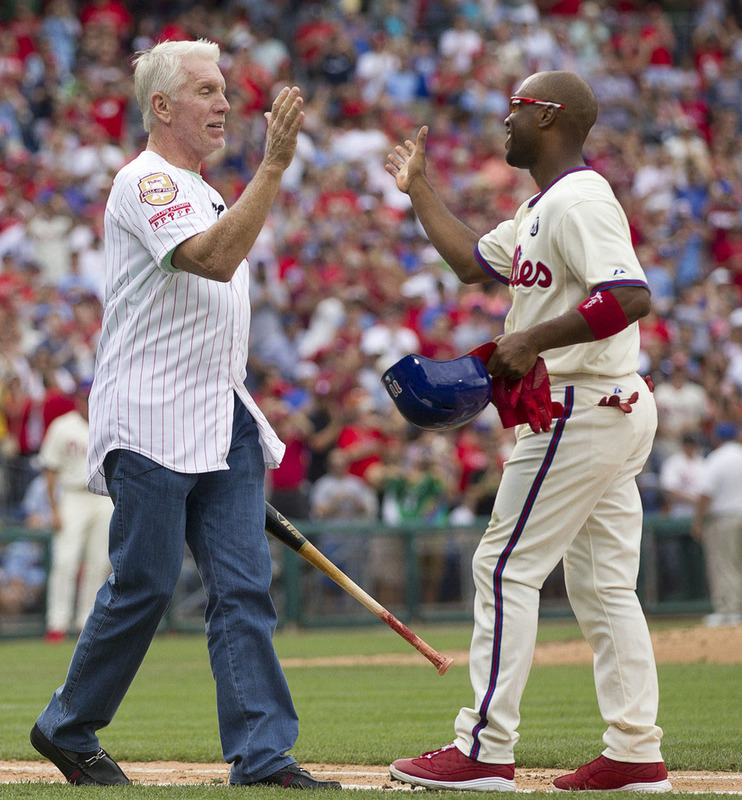 With a single in the fifth inning, Rollins moved past the legendary Mike Schmidt on the Phillies' all-time hit list. 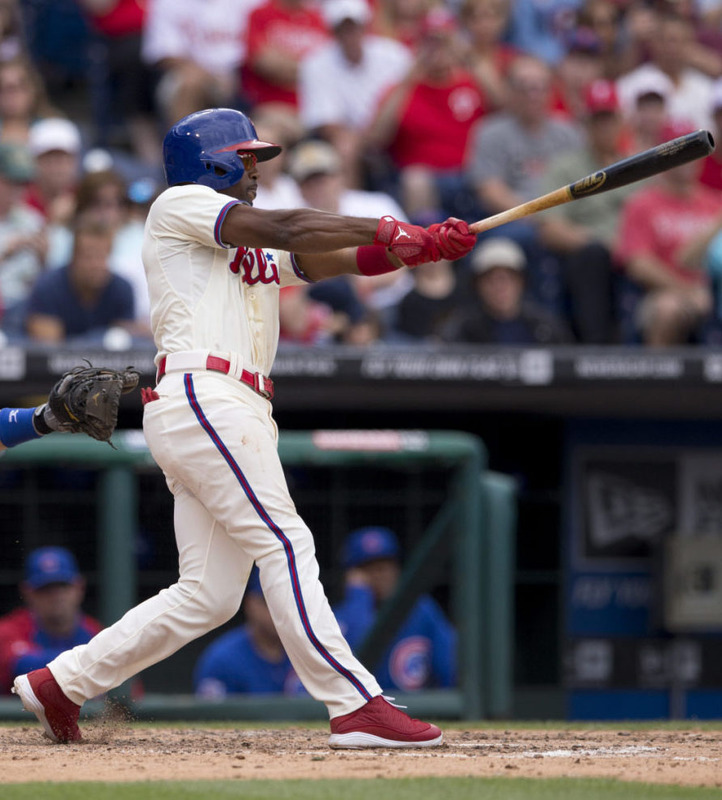 The hit was the 2,235th of his career. Once again, a member of Team Jordan broke a record while wearing a Player Exclusive colorway of the Air Jordan 13. 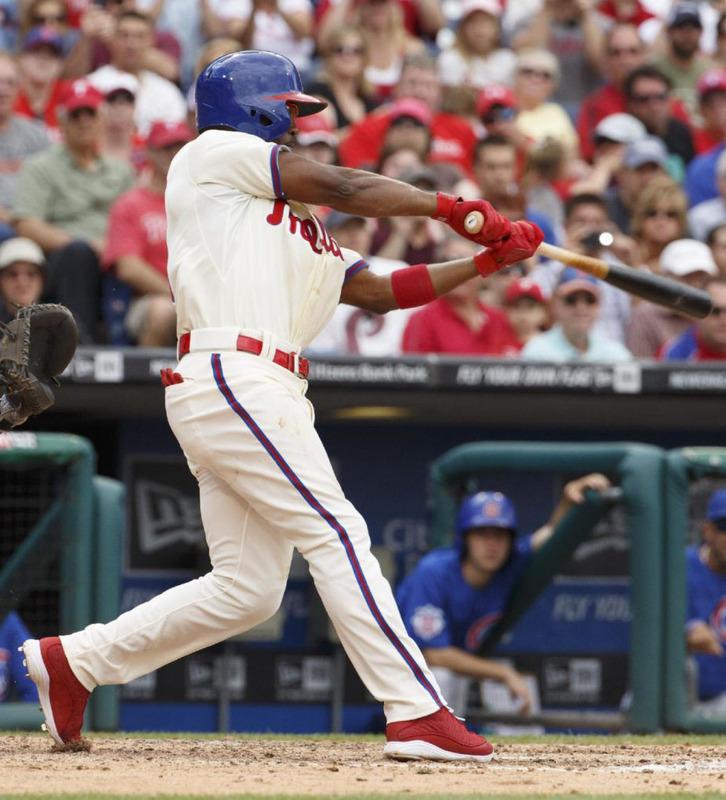 Rollins' clipped the mark in a cleated Phillies-themed colorway, featuring a deep red mesh and leather upper with a white sole. 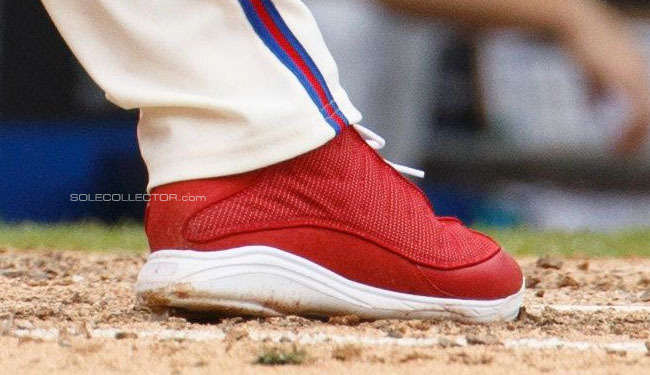 Should Jordan Brand release a sneaker version of Rollins' record-breaking PE?